The Downton Abbey dog, Isis, might be written off because her name is the same as the bloody terrorist organization. The group famous for beheadings wasn’t around in the 1920s, when the series is set, but that hasn’t stopped other TV shows from editing their stories in favor of sensitivity. According to The Hollywood Reporter, — SPOILER ALERT — as Downton’s fifth season is airing in the U.K., during last weekend’s episode Lord and Lady Grantham talked about Isis’s possibly failing health. The Victorian pup was still alive by the credits, but who knows what may become of her as the season rolls on? A representative for ITV, the British station that airs Downton, even released a statement, calling the dog’s name an "unfortunate coincidence." They wouldn't confirm or refute the claims that she might be killed off, but did say that the eventual fate of the animal will have nothing to do with the military group. ISIS wasn’t really a thing while they were filming this season – how were they supposed know? Downton wouldn't be the first show to alter its planned script due to the actions of ISIS. FX’s spy spoof cartoon Archer dropped an ISIS spy agency plot line and Doctor Who nixed a beheading scene. And we can't forget the ill-timed Sleepy Hollow promotion full of headless people? 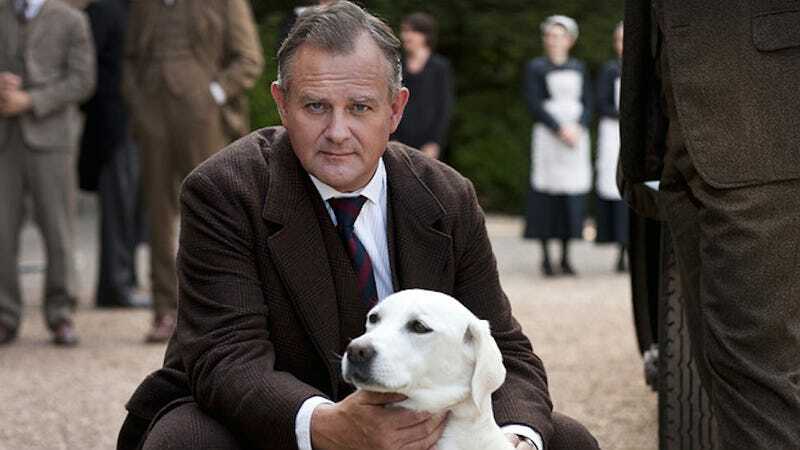 As for Isis the Downton dog, America won’t find out what really happens to her until January 5, 2015, when the show airs stateside. Bullocks.